Rent Desktop and Laptop computers for computer classroom rentals, cyber-cafes, Custom Gaming Computer Kiosk rentals, self registration stands, product information stations, online information requests at tradeshows, online ordering at conventions, software training classes, Tax season for temporary accountants and employees. We can provide rentals for pre trial litigation, trial preparation, training, war rooms, courtrooms and Trial Litigation. We can configure with PC's and Mac's, with wireless networks. (Court Room presentations with Elmo, and projectors and screens). We can provide Computer and Visual Presentation equipment rentals for pre trial litigation, trial preparation, training, war rooms, Translation Equipment Courtrooms and Trial Litigation. We are a full service audio, visual, video, lighting, staging, and computer rental company. Serving clients nationally, we offer one of the most comprehensive inventories in the industry for small businesses events, conventions, tradeshows, expositions, event planners, training seminars, and live entertainment shows. With the latest in technology from leading manufacturers, we ensure your event will be a total success. Rent Tradeshow AV Equipment, plasma displays, sound systems, and lighting. Each week, CA Security Advisory Team tabulates the top 5 malware threats based on reports received from around the world by CA's VIRTUE ™ virus sample processing system. This current list represents the top 5 reported threats. Rent Dual Core 1.8GHz 15.4"
All rental equipment is delivered and setup to your satisfaction. Technicians are available 24 hours everyday for emergency service and support. Technical staff may also be hired to remain on-site for the duration of your event. Our on-site technicians can give you peace of mind in knowing that covered issues will be handled and solved immediately. Please contact us for further details. 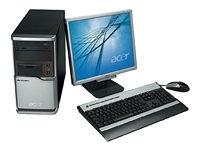 We can supply any quantity of computer equipment to meet your demands. Advance reservations are highly recommended. We support Windows 2000, XP pro, networks (wired and wireless ). Rent Laptop Computers, Plasma Monitors, LCD Projectors, Projection Screens, and much more. For extensive audio visual requirements in large venues, count on us to find the right solutions that will achieve great results. Just hired new employees? Need additional equipment for a special project? Place your order with us and we will work hard to accommodate your needs in as little time as possible. Experiencing computer equipment problems at the office? Contact us and we will rush over with equipment tailored to your needs. Rent computer equipment at a price that is easy on any budget. Are you a Computer training center? Do you sometimes find that your existing quantity of computer equipment is insufficient for your booked classes or that the software training requires higher specification PCs. We have computer rentals where the emphasis is on identical machines, either stand alone or networked ( wired or wireless ). We can configure our laptop computers with the latest in wireless technology including 802.11 a/b/g standards. We also rent wireless routers, switches and hubs so that you have instant connectivity anywhere wireless access is available. A note about connectivity in many convention centers and hotels, many of these facilities have exclusive internet service providers and do not have open access. Although you rent a wireless enabled laptop computer, this does not guarantee you will have access at the location you desire without also making arrangements with the facility. If you are in doubt, contact the facility to find out if there are special arrangements needed or fees associated with wireless access. Connecting Your Laptop to an LCD Projector? If you're presenting to a small group or a dinner meeting, consider renting an LCD projector along with your laptop. We have serviced thousands of medical meeting dinners where presenters will send us their PowerPoint presentations ahead of time and are loaded onto the laptop. Our delivery personnel can then setup the laptop, LCD projector, and projection screen at the restaurant even before you arrive. Notebook PC - i5 2.26 GHz - Rent Lenovo Edge520 i5, 4GB Ram, 500GB HD Rent Dual Core 1.8GHz 15.4"
RENT LCD and DLP Projectors, screens, Light and Sound. Monitors and Displays. RENT NEW 20 inch to 30 inch LCD HDTV Displays. Rent Computer Stands and Kiosks Nationwide Laptop and Desktop Computer rentals. Tradeshow AV Equipment rentals. Rent the latest in Computer kiosks, Desktop and Laptop Computer Equipment for software training classes. Tax season for temporary accountants and employees. We can provide computer and Elmo Visual Presentation equipment rentals for pre trial litigation, trial preparation, training, war rooms, iPads, Translation Equipment, Courtrooms, Trial Litigation,. Computer 4 Rent is a full service audio visual, lighting, and computer rental provider for a wide array of events and industries. We provide quality, professionalism, and experience in the fields of sound, lighting, projection, plasma display video walls, and computer network rentals. We pride ourselves in our commitment to customer service, focusing on making the individual needs of our clients a reality. We use our past experiences with the latest technology for successful events. We are your AV consultants.